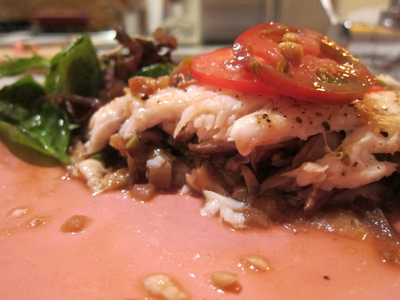 Sole “Pie” | eat. live. paleo. 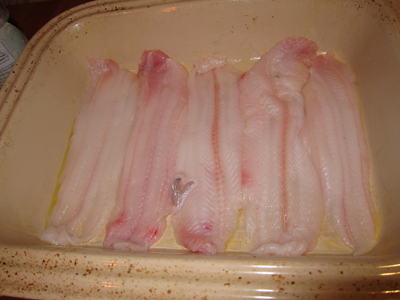 Every so often, I see local, wild-caught sole on sale at Whole Foods. 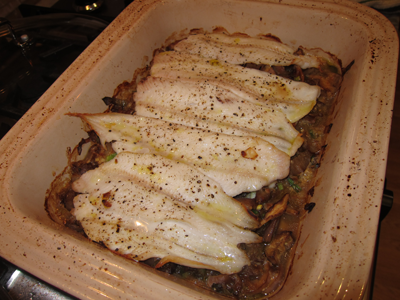 Sole can be tricky to cook, because it can be rather bland without frying or adding a lot of fat. This Sole “Pie” is a neat and delicious way to eat sole baked — basically, it’s Asian-style eggplant caponata sandwiched between two layers of sole. Chinese eggplants work best for this dish, because their skin is thin and cook quite easily without having to sweat the eggplants beforehand. Heat the pan with some olive oil on medium-high heat. 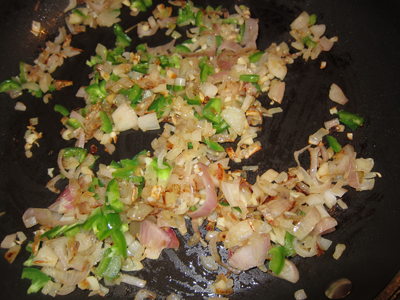 Cook the garlic, shallots, onions, and jalapeño until tender. 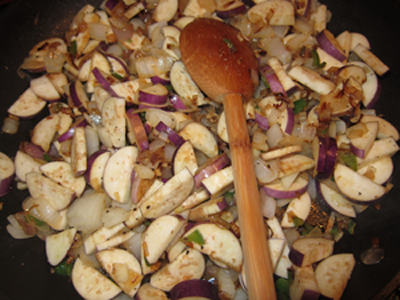 Add the Chinese eggplants. Salt to sweat, and cook until tender, stirring frequently. 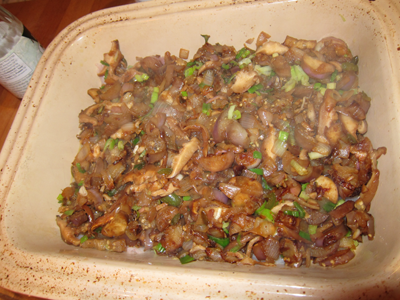 Once the eggplants are tender, add the mushrooms. 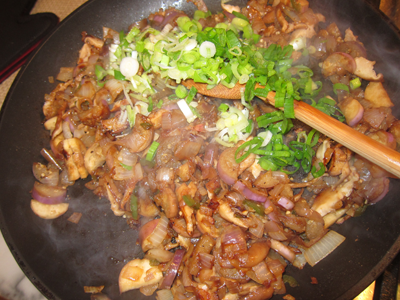 Finally, when everything is cooked and tender, add the soy sauce, mirin, and scallions, and stir well. Set side. Drizzle some olive oil on the bottom of a large baking dish. 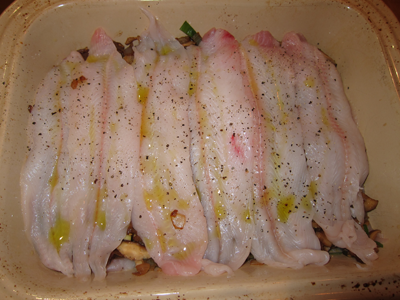 Layer sole filets to cover the bottom of the dish. Layer the rest of the sole filets over the vegetable. Drizzle with a little bit of oil, season lightly with salt and pepper. Bake in the oven for about 25 minutes. Take the dish out of the oven and let it rest for at least 5 minutes. 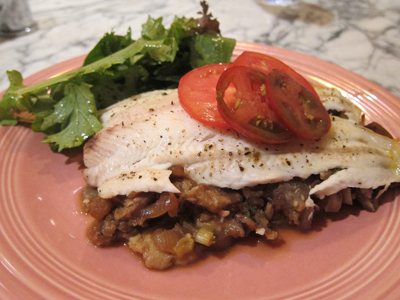 One thing to note: sole is so light cooked this way, you can eat a surprising amount of it! Usually, we have none left at the end of dinner.